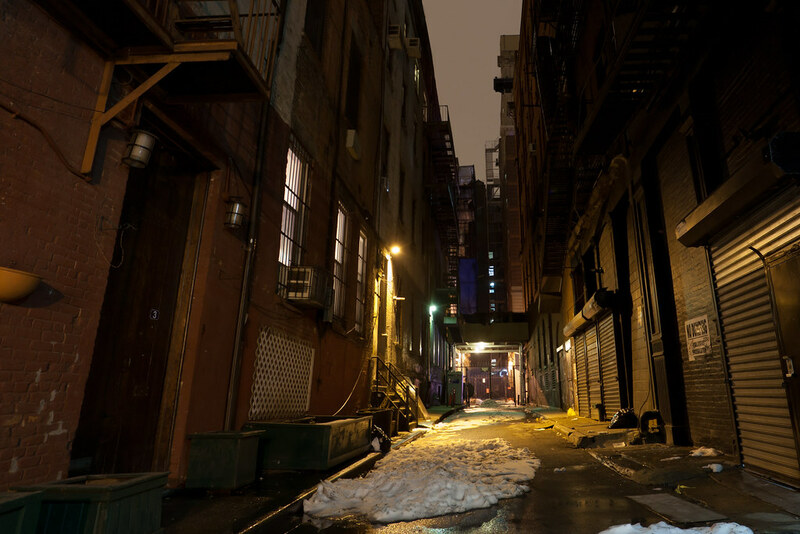 Here's a night shot of one of the few alleys in New York City. Closed to the public, Great Jones Alley stretches only one block (between Great Jones Street and Bond Street) near Broadway. It's shot at 17mm with an apature of 6.3 on a tripod. I like the perspective and the distortions add to the composition. For some history on Great Jones Alley and some other New York City alleys, see this post at Forgotten New York.